Solar shade materials are made of vinyl and fiberglass with an open weave depending on the style you choose. There are several uses for these unique vinyl fabrics. 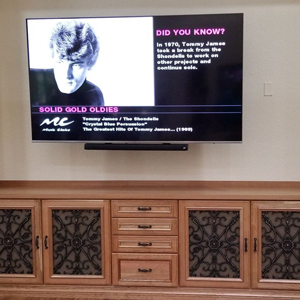 One of our customers recently sent us a picture of her tv console with E-Screen used as the backing for the console door panels. Signals from the remote controls pass easily through the E-Screen fabric. 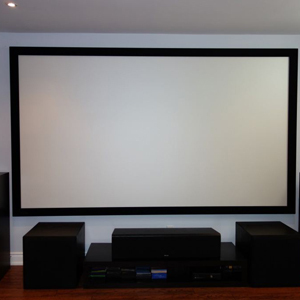 Another idea we have seen many times features SheerWeave 4500 in chalk for in home movie screens.